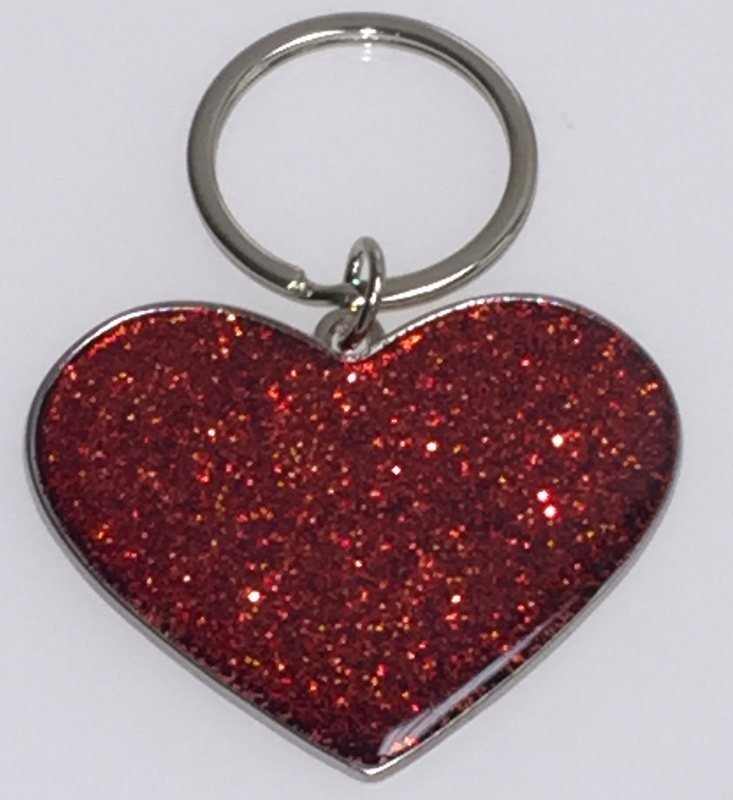 Our heart key tags are made from zinc alloy and are nickel plated. 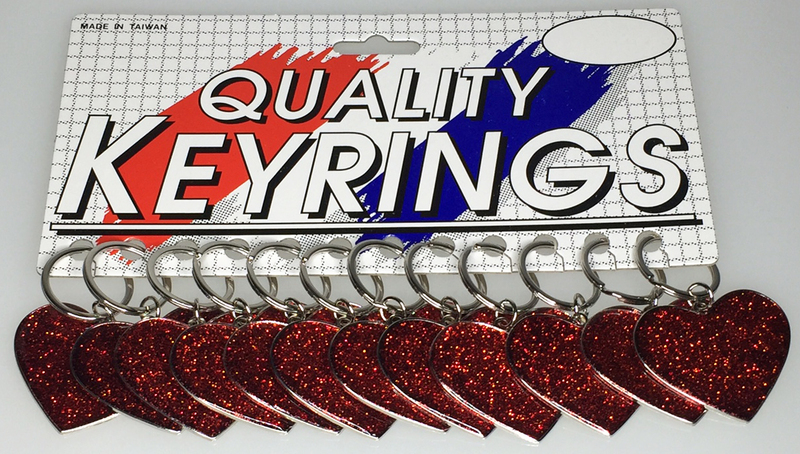 Each piece is filled with red soft enamel, sprinkled with glitter and capped with clear epoxy. The hearts measure approximately 2" wide by 1 1/2" inches high. Each piece is attached to a 1 1/8" split ring. Packaging is Bulk.